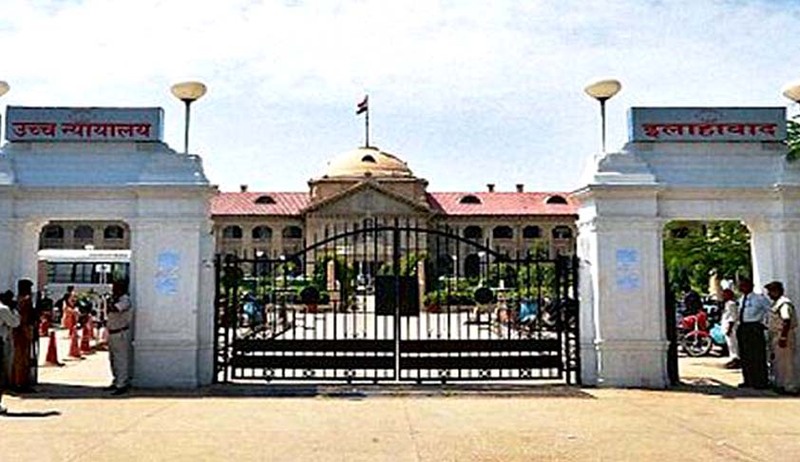 The Allahabad High Court has declared the election of Samajwadi Party MLA Ram Singh from Patti Assembly constituency in Pratapgarh in the 2012 UP Assembly Elections. The petitioner, who is the political leader, was one of the contesting candidate from 249 Patti Assembly Constituency, District Pratapgarh. The petitioner, had received 61278 votes whereas Ram Singh had received 61434 votes and, as such, the respondent no.1 was declared elected as Member of Legislative Assembly by a margin of 156 votes. It is said that the result of the election has been materially affected by improper refusal/rejection of 955 postal ballot papers, which were neither opened nor counted by the Returning Officer during the counting of the votes. It is alleged that when the postal ballot papers were to be counted, it was revealed that there was only one postal ballot paper, which was received by post in the envelop whereas there were 955 postal ballot papers contained in two ballot boxes but the fold of these ballot papers was not opened and they were rejected by marking the word 'rejected'. Therefore, the aforesaid 955 postal ballot papers were neither opened nor counted in the election, regarding which the Election Agent of the petitioner submitted an application but the Returning Officer had not taken any action and subsequently rejected the said application on 06.03.2012. The difference (margin of votes) between the petitioner and the respondent no.1 was only 156 votes but 955 postal ballot papers were not at all counted causing serious prejudice. Therefore, it amounts to improper refusal to count the ballot papers and there was non-compliance of the provisions contained in the Representation of People Act 1951 (for short 'Act 1951) and the Rules of the 1961. In these circumstances, the election of the respondent no.1 is liable to be set aside and 955 postal ballot papers deserved to be counted after opening the same. Justice A. N. Mittal observed that the grounds have been mentioned in section 100 of the Act of Representation of Peoples Act 1951 and Section 100(1)(d)(iv) provides that if the High Court is of opinion that by any non-compliance with the provisions of Constitution or of this Act or any rules or orders made under this act, even committed, then the election of the returned candidate shall be declared void. Allowing the Petition, the Court held that there has been non-compliance of the provisions of 1951 Act; Rules of 1961; as well as Hand Book for Returning Officer 2009. Therefore, in view of the provision of Section 100 (1)(d) (iv) read with provisions of Section 98 of the Act, the election of the returned candidate is liable to be declared as void. As far as the second part of relief 'A' is concerned, the petitioner cannot be declared as duly elected Member of Legislative Assembly from 249 Patti Assembly Constituency, District Pratapgarh. The petition is allowed with costs. The Election for Legislative Assembly of Uttar Pradesh 2012 of Ram Singh as Member of Legislative Assembly from 249 Patti Constituency Assembly Pratapgarh, District Pratapgarh is declared as void. As the election being declared void, therefore, he must not be allowed any benefits of this election and also pension as Member of Legislative Assembly and all other such benefits, which are admissible to an Ex-Member of Legislative Assembly. It is clarified that this period shall confined to General Elections for Legislative Assembly of Uttar Pradesh 2012. For non-compliance and violation of the procedure and Rules, strict action must be taken by the State Government against Sri Sharda Prasad Yadav, ADM (Civil Supplies) Kanpur (the then Returning Officer for 249 Patti Assembly Constituency, District Pratapgarh) and in future, he must not be assigned any important duties or posted on a significant post.